What foods to eat every day for optimal health and get the right nutrients? This is a tough topic in the world full of controversial information and current toxic environment. The easiest way we can think of is to get a magic bottle of multivitamins and think we are doing our best for our health. However, we never know if these pills are doing anything to our body or maybe even harming us. No doubt food is best we can use to nurture our body. Every vitamin requires lots of co-factors to be efficiently absorbed into our system and the vitamins in food usually come with their own co-factors, while pills in the bottle usually come isolated with no co-factors. The below recommendations are based on suggestions of Morley Robbins and his Magnesium protocol. Morley Robbins encourages to consume mostly food-based vitamins and discourages using multi-vitamin supplements in general. He suggests a few supplements like Magnesium and Taurine for general well-being. Most people are deficient in Magnesium and the body does not do good when it has this kind of deficiency. Magnesium is as important as air and water, says Morley Robbins. He provides a very valuable information about general well-being and shares his knowledge in his “Magnesium Advocacy Group”. 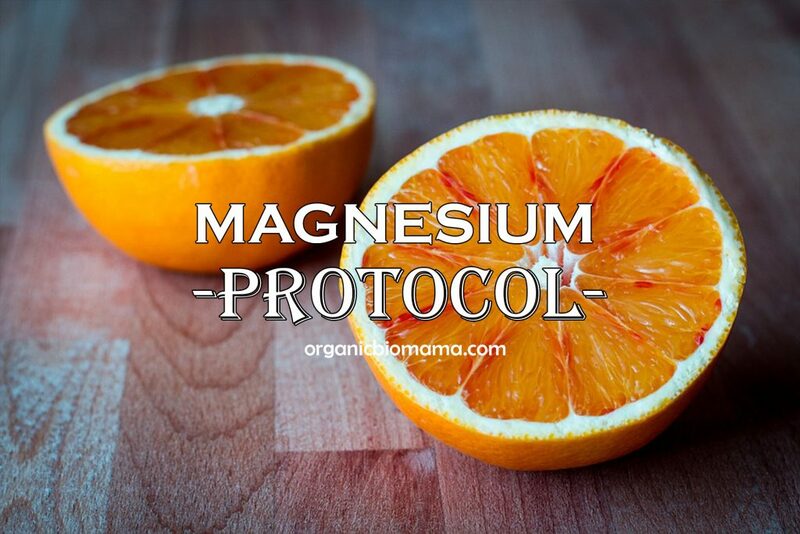 I like the idea of getting the vitamins mostly from food and I love this Magnesium protocol which is not only about Magnesium supplementation. The below protocol is about getting essential vitamins from foods, supporting adrenal health and avoiding Magnesium deficiency. This “Multivitamin-Multimineral Menu” provides the body with food-based B vitamin complex, food-based vitamin B12, Taurine, Minerals, Magnesium, Iodine from Kelp, Selenium from Brasil nuts, Boron from Prunes, Food-based Vitamin C, Cod liver oil, Silica and other food-based nutrients. Eat a diet high in Healthy Fats, High in Protein and low in Carbohydrates.